a.Made from tough & durable PP for superior impact and chemical resistance. 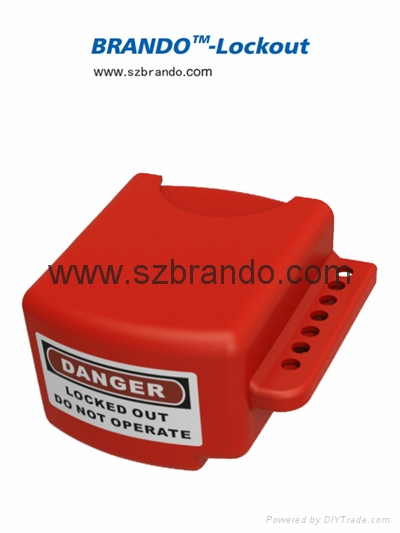 b.Place over the gate valve between the two parts and put your lockout padlock. d.Lock out gate valve from 25mm to 165mm. 4.Available in many sizes .